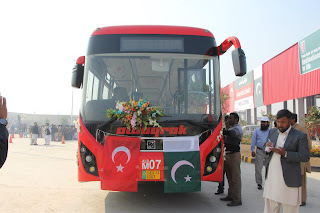 On Sunday 10th February 2013 first ever Metro Bus service project of Pakistan was started in city of Lahore which is made in just 9 months on order Chief Minister Punjab Shahbaz Sharif. 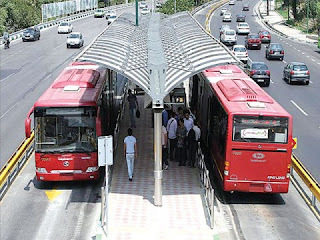 the track of Metro bus service is almsot 27 KM long. The project is completed in 30 billion Pakistani rupees and is made with cooperation of Turkish Government. 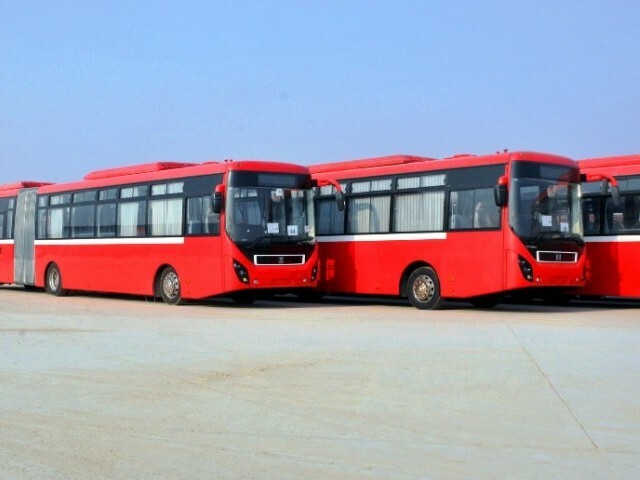 Similar bus project is already running successfully in Turkey's most important city Istanbul. 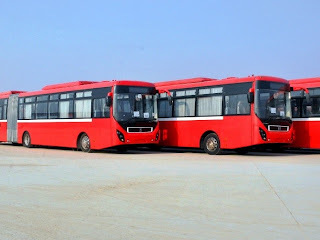 This bus service will greatly help the poor and middle people to travel easily on less rate around the huge city of Lahore. it will also help to reduce the traffic on main roads of Lahore. Some people like always are criticizing even this project due to politics. but i think we should see few things by raising above the politics. Its a very good project and we should support it.